Dr. Kenneth McLeroy plays many roles as Co-Director of CCHD – Principal Investigator, mentor, colleague – and it is easy to say that he has significantly assisted in the overall success of the Center. Dr. McLeroy has been and continues to be on the cutting edge in his field and his contributions to public health research, teaching and service are admired by many. With Dr. McLeroy’s recent grant award from the Office of Adolescent Health, the Center would like to highlight his career-long success and influence within the field of public health. Through his seminal article in Health Education Quarterly, now known as Health Education & Behavior, An Ecological Perspective on Health Promotion Programs, Dr. McLeroy set the stage for a new generation of public health programs and research. Currently, the Social Ecological Model is one of the most widely used models in public health and the manuscript is viewed as the pivotal piece of literature describing ecological approaches to public health. The manuscript has generated over 3,000 citations, but more importantly it has changed the way we view health; instead of considering only individual components to health, the model highlights the interconnectedness of factors related to the individual, social networks, organizations, the communities in which they function, public policy at multiple levels, the physical environment, and culture. In addition to his interest in social ecology and its application to health promotion and public health practice, Dr. McLeroy has led an industrious career in public health evaluation by working with communities to enhance their capacity to solve local health issues. Since the beginning of his career, Dr. McLeroy has been awarded 27 grants and contracts totaling over $30 million, serving as Principal Investigator on the majority of the awards. Dr. McLeroy’ s colleagues recognize him as a leading expert in community capacity and interventions, noting that he has remained true to the applied nature of public health in melding a rigorous science orientation with practical community application and benefit. Not only have Dr. McLeroy’ s scholarly publications in research and practice made major contributions to public health, but his editorial roles with several excellent journals have resulted in his having an influential impact on the field more generally. 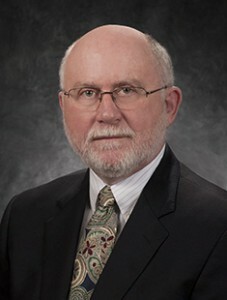 Since 1986, Dr. McLeroy has served in various roles on more than ten journals. He has been an Associate Editor for the Journal of Primary Prevention since 2008, a Department Editor for the American Journal of Public Health since 2005, and a Section Editor for the American Journal of Health Promotion since 1988. He has also acted as an Executive/Associate Editor for Health Education Research: Theory and Practice from 1989-1999. In addition to serving as an Editor, he has also been a member of journal editorial boards such as Health Behavior and Policy Review, AIMS Public Health, International Scholarly Research Network, American Journal of Public Health, Health Education Research: Theory and Practice, Eta Sigma Gamma, the American Journal of Health Behavior, the American Journal of Health Promotion, and Health Education and Behavior. While his accomplishments are esteemed, Dr. McLeroy considers his greatest contribution to the field of public health to be teaching. Throughout hundreds of hours of individual discussions, meetings, classes, and conferences Dr. McLeroy has encouraged and taught his peers, students, and co-workers. As a result, he has equipped new public health scholars and professionals to enter the workforce and accomplish important tasks that are vital to the discipline. As a teacher, Ken engages students in meaningful and challenging dialogue, positioning himself to learn from students, as well as teach them. He sees teaching as a prime opportunity to continue learning and developing his own thinking around complex public health issues. He is respectful of diversity of thought and experience, and eager to learn from others’ perspectives. His pursuit of lifelong learning permeates his work as a researcher, teacher, mentor, and administrator as he enjoys questioning what is known to push conversations into discovering that which is not yet known. This feature was written by Dr. Whitney Garney.